Sam Leach’s Avian Interplanetary installation explores possible connections between recent research about the evolved human preferences for certain landscape schemes and experiments into how creatures use visual signals and strategies to negotiate their environment. In 2015 Sam Leach featured in Time Space Existence, a collateral event of the Venice Biennale, and a major monograph with essays by Andrew Frost and esteemed fiction writer TimWinton. In the same year he completed an Art OMI Australia Committee Fellowship Residency in New York. In 2010 Leach won both Wynne and Archibald Prizes at the Art Gallery of New South Wales, and he was a finalist for the Royal Bank of Scotland Emerging Artist Award in 2009. His work has been extensively exhibited nationally and internationally. Recent solo exhibitions include Sam Leach, Future Perfect, Singapore (2013); The Ecstasy of Infrastructure, TarraWarra Museum of Art, Victoria (2012) and Cosmists, 24HR ART, Northern Territory of Contemporary Art, Darwin (2010). 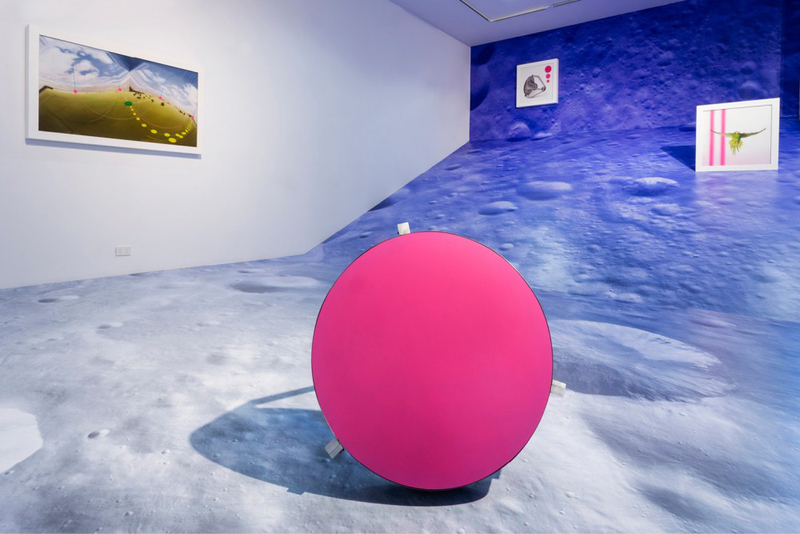 Leach was recently included in the group shows Melbourne Now, National Gallery of Victoria, Melbourne (2013); SkyLab, La Trobe Regional Gallery, Victoria (2013); Haunts and Follies, Linden Centre for Contemporary Art, Melbourne (2012) and First Life Residency in Landscape at Xin Dong Cheng Space for Contemporary Art, Beijing (2011).